LJMU's International Tourism Management MSc develops the knowledge and skills to work in this fast-paced sector, calling on extensive links with the tourism industry. Our MSc in Tourism is a flexible programme designed for new graduates and those already working in the tourism, leisure and hospitality sectors. As with previous Tourism Masters courses, the MSc is expected to attract students from all parts of the globe including the UK, Africa, America and China. Such varied cohorts enrich the learning process, bringing together different experiences and facilitating informed discussion and knowledge sharing. Employability and career progression is a key objective of the course. The curriculum builds the knowledge, critical analysis and research skills required to work in global tourism management. Trips to tourism organisations and talks by guest lecturers and industry professionals give you an insider’s view of the sector. A solid grounding in management sciences equips you for a variety of careers and, as learning is directly informed by the latest developments, you will champion contemporary practice. Led by expert tutors actively engaged in research and consultancy work nationally and internationally, this eagerly-anticipated Masters will cover a host of key topics. You will study the globalisation of tourism services, management and leadership practice, resource management, global tourism marketing and strategic planning. This course is recognised by the Tourism Management Institute (TMI). TMI is the professional body for destination management practitioners, with members drawn from all levels of the private and public sectors: national, regional, sub regional and local. TMI seeks to support professional development within the sector, for potential entrants as well as existing practitioners. Assessment and recognition by TMI means that students can be confident the course will provide them with knowledge, understanding, skills and experience which will fully prepare them for a career in tourism destination management. During your studies you will benefit from exceptional networking possibilities and, as a graduate, you will enjoy first class employment opportunities. The programme develops a host of transferable skills and will ensure that you are ready for the world of work and engaging, successful careers. senior positions in hotels, tourist attractions and tourist resorts, whilst others have set up their own businesses. This module encourages you to identify and critically evaluate appropriate research methods and methodologies for your own research. This module provides a critical and analytical framework for international marketing management relating to tourism and its stakeholders. You will analyse the macro and micro environment and the marketing mix. This module introduces you to strategic management processes in a range of international tourism contexts. This module will extend your understanding of contemporary issues impacting the management of international tourism and hospitality organisations. This module develops a critical understanding of the major issues surrounding the management of resources in tourism. This module enables you to develop your professional practice with regards to an international tourism management topic of your choice. This module aims to develop the skills to plan and execute a research project and demonstrate critical and holistic knowledge. It provides a deeper understanding of your chosen subject area. Students will attend university for teaching two days a week. This is likely to be on Tuesday and Friday - though days are still to be confirmed. Part-time students will take five out of seven modules in the first year and the remaining two modules in the second year. The two modules that are undertaken in the second year are the Individual Research Project and Developing Professional Practice. A wide variety of teaching methods are used on the course including: interactive lectures, workshops, tutorials, seminars, group work, guest lectures and engagement with tourism industry managers through guest presentations and visits to industry partners. 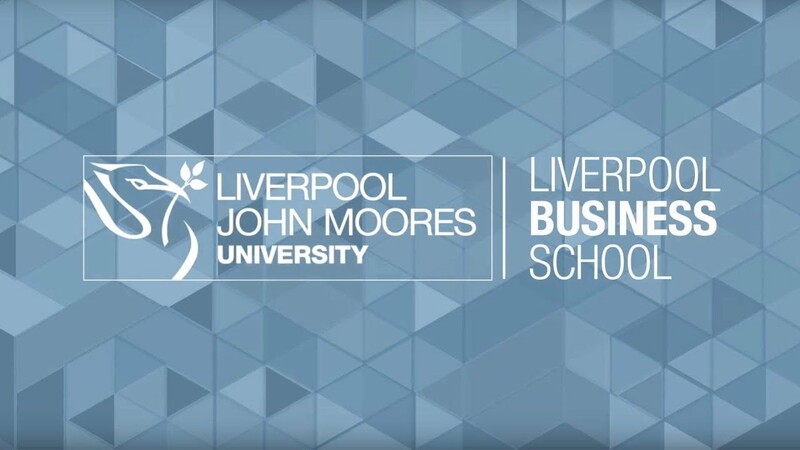 The programme also makes extensive use of LJMU’s virtual learning environment. Student support levels are exceptionally high in this subject area, with course tutors previously nominated for Teacher Excellence awards in recognition of their outstanding pastoral and academic support for postgraduate students. Teaching is provided by both research active staff, with industry experience, and external professionals. This ensures that all courses are in line with current and developing practice. The programme also provides a range of opportunities to network with industry professionals and enables you to access placements in the tourism industry. There are one or two coursework assessment tasks per module. You will work on essays, reports, poster presentations, individual projects, case studies, formal reports, oral presentations and research-based projects. To help you prepare your submissions, timely, constructive, developmental feedback will be provided throughout the course. Dr Takamitsu Jimura (Taka) is Programme Leader for MSc International Tourism Management and Senior Lecturer in Tourism at Liverpool John Moores University. Before joining the University in 2015, he worked for York St John University and University of Greenwich for more than seven years. Taka holds a PhD in Tourism and Cultural Heritage Management and a MSc in Tourism, Conservation and Sustainable Development. His research interests include cultural and heritage tourism, tourism marketing and sustainable tourism. Taka is especially interested in investigating the impacts of World Heritage Site (WHS) designation on tourism development, local communities, and heritage management and conservation activities. He is the author of several journal articles and book submissions and regularly presents his work at international conferences. Many of his articles have resulted from his fieldwork in the UK and Japan. His latest journal article examines the WHS management at Sacred Sites and Pilgrimage Routes in the Kii Mountain Range in Japan. He is currently working for two single-authored book projects and one edited book project with his colleagues at Liverpool John Moores University. I really enjoy teaching, research, supervision and scholarly activity. I do hope that our students fully enjoy studying with us and find our programme challenging but rewarding. Students on this programme can expand their horizons and develop their knowledge and skills further through study. This programme is based in the Redmonds Building, in the heart of the bustling Mount Pleasant campus and Liverpool’s growing Knowledge Quarter. The building is home to high quality lecture theatres and seminar rooms, social spaces, a café, conference facilities and a dedicated postgraduate research area. It is only a short walk from LJMU’s Aldham Robarts Library, which contains all the resources you will require for your studies, and is open 24 hours a day, seven days a week. Liverpool Business School also has a dedicated Management Development Suite, based in a listed building in the historic Georgian Quarter of Liverpool and a short walk from the Redmonds Building. The building has recently undergone £1.2 million investment to provide a professional learning space. You need to demonstrate that you have a sufficient level of knowledge to embark on the programme and to complete it within the time limits. You should provide evidence, at the interview stage, of your learning capabilities and commitment to a postgraduate programme of study. Applications from non-standard applicants are welcomed. In exceptional circumstances applications by mature healthcare practitioners without sufficient qualifications will be considered.